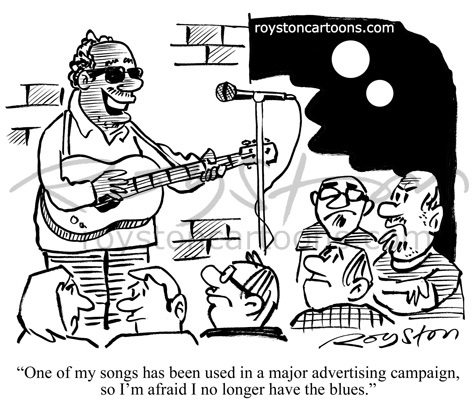 "One of my songs has been used in a major advertising campaign, so I'm afraid I no longer have the blues." This can be seen in the new issue of the PCO's Foghorn magazine, which features cartoons on the theme of "We're all in this together" (think Tory Party slogan, rather than High School Musical). This will be the final issue of Foghorn -- more on that here.